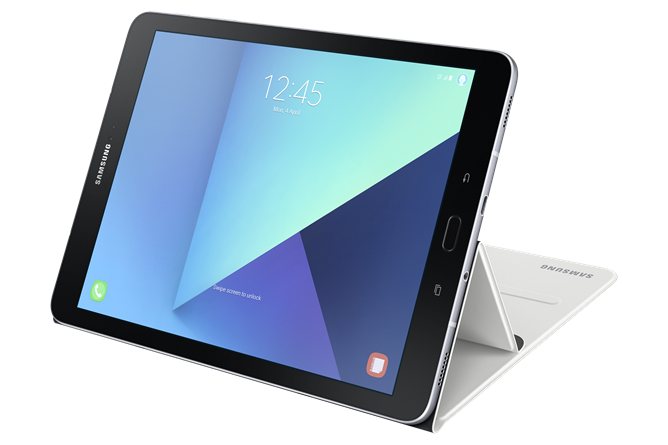 The Tab S3 will come only in the 9.7-inch form factor, eschewing the smaller 8-inch options of the last two generations. Samsung is also making 10 and 12-inch versions of the Galaxy Book, the Tab’s more expensive, Windows-powered cousins, but those hoping for a high-end mid-sized tablet will be disappointed. The most striking thing about the new design is that it ditches the polymer rear panel in favor of tempered glass surrounded by an aluminum frame, the same basic design as the Galaxy S smartphone series. The result is an extremely thin but solid-feeling 6.0mm-profile. That screen is a 4:3 panel, like the S2, with an identical 2048x1536 resolution. But this year’s AMOLED screen has a trick up its sleeve: it’s rated for High Dynamic Range (HDR) video content. 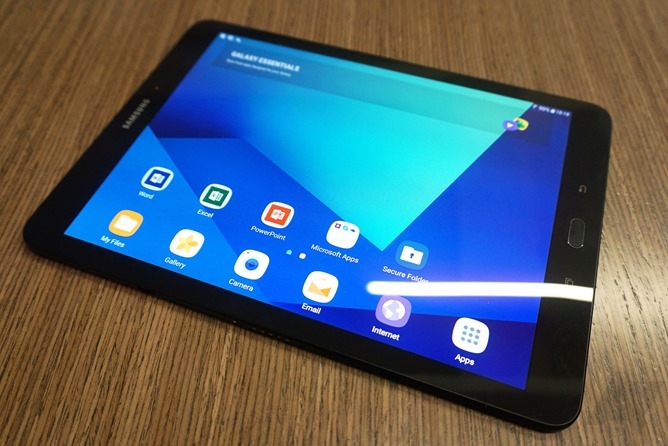 The Tab S3 is the first Android tablet to pull this trick – in fact Samsung has had to arrange partnerships with video sources (so far unnamed) to make sure that customers have something to watch on those vibrant new screens. Underneath is a Snapdragon 820 processor (at least in the North American model – international versions may be equipped with Samsung’s Exynos chips), 4GB of RAM, 32GB of storage plus a MicroSD card slot, and an impressive (for a tablet) 5MP/13MP camera setup with LED flash. The fast-charge battery is only 6000mAh, which is a tad more than the Tab S2 but well below the average for a 10-inch tablet – the slim design of the body would seem to necessitate some engineering compromises. Software will be Android 7.0 at launch, and the Tab S3 will come in Wi-Fi and LTE varieties. 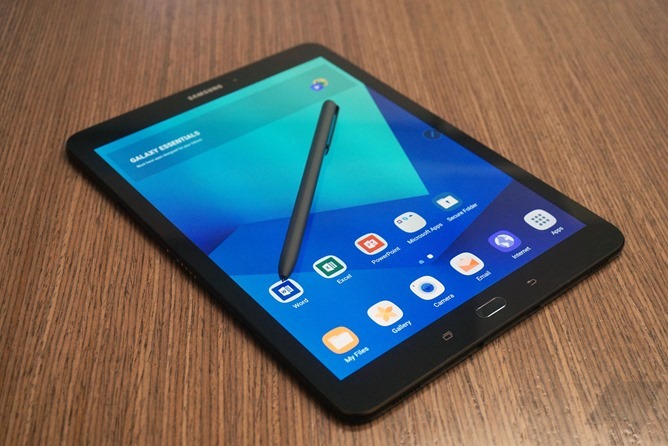 Though not officially part of the Note family – which has some rather poor branding since the disastrous launch of the Galaxy Note 7 – the Tab S3 comes with an S-Pen. 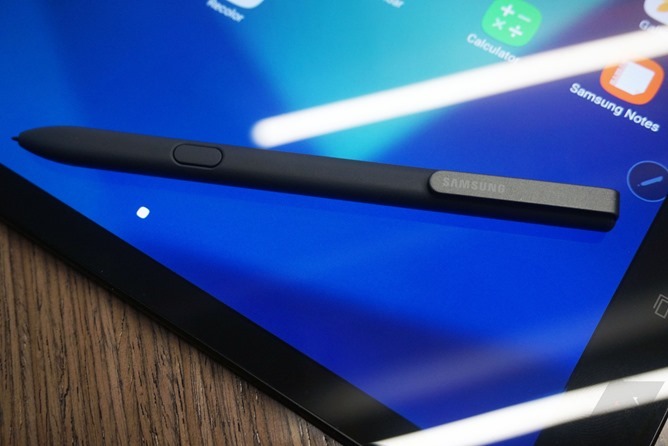 In a first for Samsung, the stylus is completely separate and does not stow away in a bay inside the tablet’s body. This being the case, it’s longer and thicker, shaped more like a conventional pen than an electronics stylus, and the plastic tip has been replaced by a more forgiving and “natural feeling” rubber one. Like previous S-Pens (and unlike Apple’s similarly-shaped Pencil), this one doesn’t need a battery to operate its 4096-layer touch features. 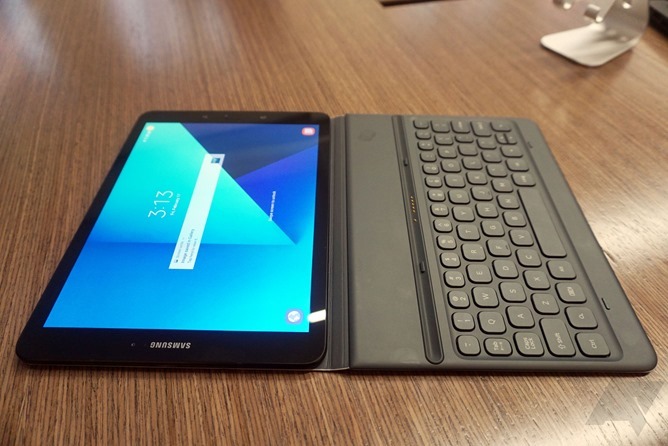 Other extras on the tablet include four distinct speakers, a fingerprint sensor in the Home button, a USB Type-C port, and a premium sold-separately folio keyboard using a POGO pin connection instead of Bluetooth. 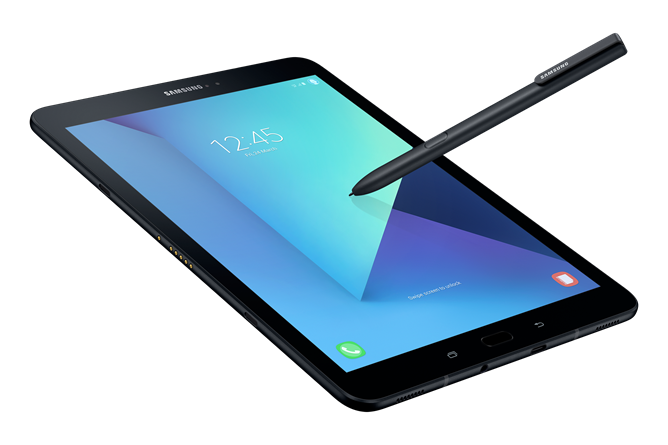 Samsung isn’t saying how much the Galaxy Tab S3 will cost. But given the clear market position to rival the iPad Pro, not to mention a leaked price from the UK of 600 pounds, we’d guess that the single 32GB Wi-Fi model will sell for $549.99 or $599.99. 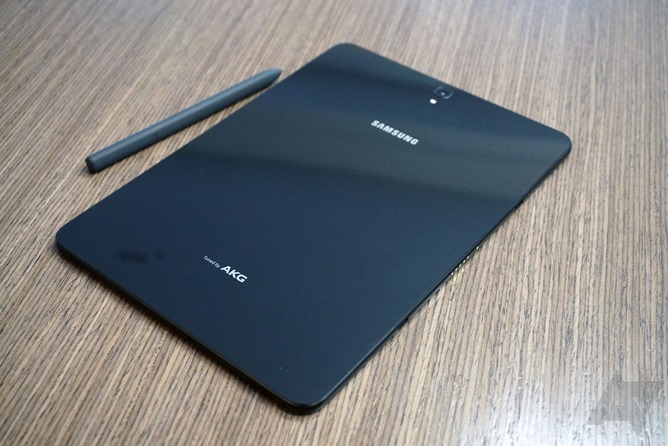 At the time of writing there’s no word on a release date, but the tablet will be offered in black and silver color options. We were given the opportunity to check out the Galaxy Tab S3 in person before its launch. It feels like a natural and luxurious upgrade over the S2 series, with the tempered glass back being immediately noticeable. 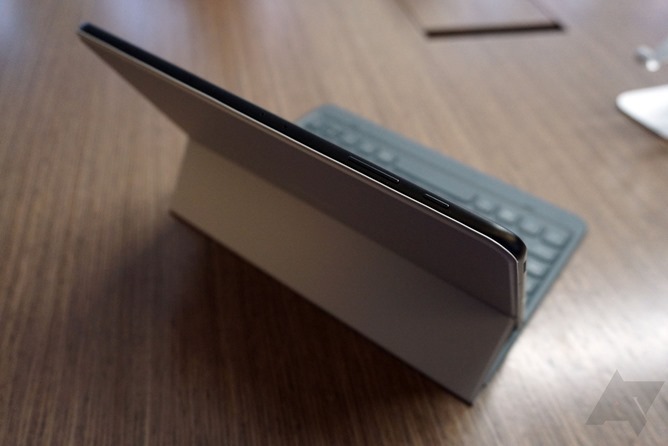 As you might suspect, the tablet becomes something of a fingerprint magnet as it’s handled (we had to keep microfiber cloths handy to get flattering photos), but there’s no denying that the ultra-thin body and aluminum sides feel good. It also feels slick, in the “might fall out of your hands” sense and not the “really cool” sense – one journalist nearly dropped the demo unit. 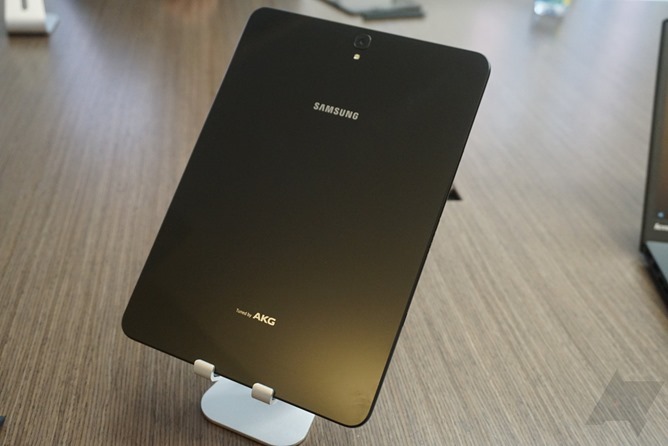 However, Samsung seems confident that the tempered glass on both sides won’t be a problem. While the S3 isn’t rated for any kind of impact or water resistance, one demonstrator intentionally dropped the unit onto a tile floor, with no obvious damage resulting. Dramatic, but effective. The software is Android 7.0 with Samsung’s usual don’t-call-it-TouchWiz interface on top. 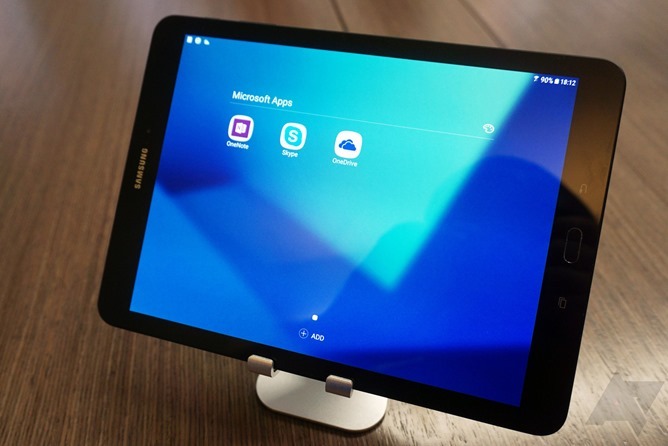 Samsung has refined its software additions greatly over the last few years, and the demo tablets felt consistently snappy and responsive. In addition to some of the same S-Pen features we’ve seen in the last few Galaxy Note revisions, Samsung is proud to show off its latest version of the Flow app. The custom messaging system can now sync notifications with a Samsung phone for apps like Facebook, Whatsapp, and Viber. In fact all notifications can be mirrored, but interactive functionality through Flow will depend on compatible APIs. 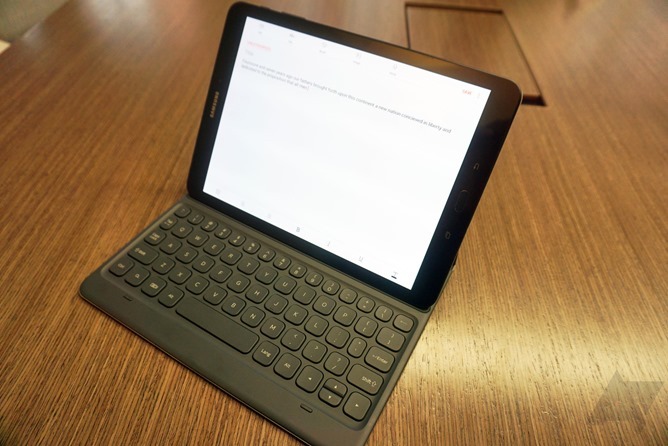 While it’s clear that Samsung put a lot of work into the revised version of the Tab S keyboard, it still felt rather cramped and shallow, as any design trying to fit a full laptop profile into a narrow 10-inch frame would. The combined folio keyboard case and tablet is admirably thin – you might lose it in a bigger bag or purse – and the addition of backlit keys will be a boon to travelers. However, those same travelers might also be more prone to lose the separate S-Pen. 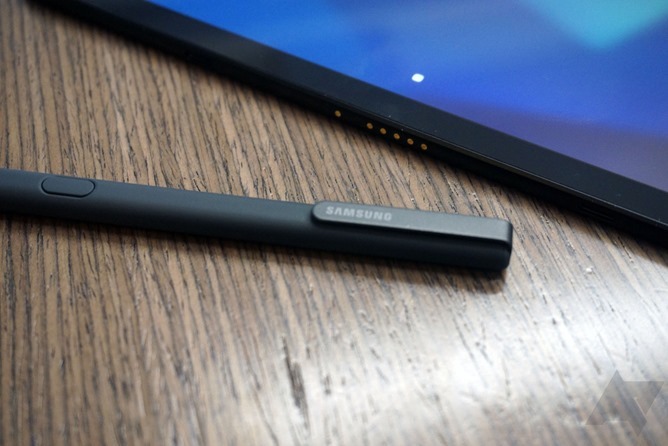 Samsung says the choice to go with a full pen-style stylus was made because research showed that users liked to use their tablets for extended periods, at home rather than on the go. Which then leads one to wonder why they’re marketing a mobile keyboard, when surely those same users would just reach for their laptops instead? The other banner feature of the Galaxy Tab S3, the HDR screen, was less impressive. The video clip shown to us in the demonstration didn’t look anywhere near as vibrant as HDR video on a dedicated LCD television – in fact it simply looked like an overly bright and saturated version of the same clip. Whatever processing tech Samsung is using to get HDR video working on relatively low-power hardware, it seems to have a real issue preserving shadows and contrast from the original content. 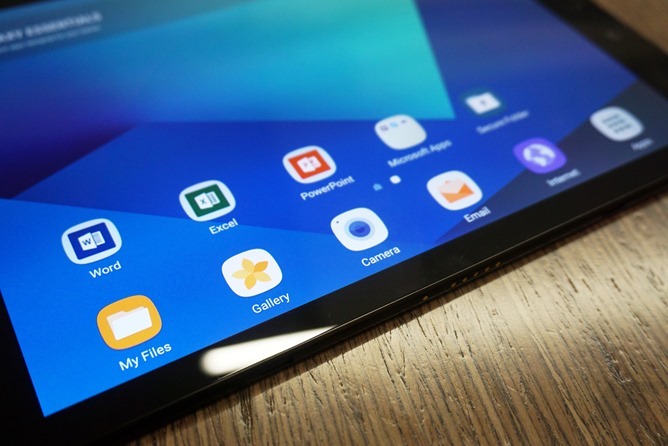 With the market for high-end Android tablets seemingly drying up, Samsung will have a tough time selling the Tab S3 at the prices we think they’ll be demanding. That said, payment plans for tablets on carriers might get a few buyers, and Samsung designs tend to go down in street price rather quickly. 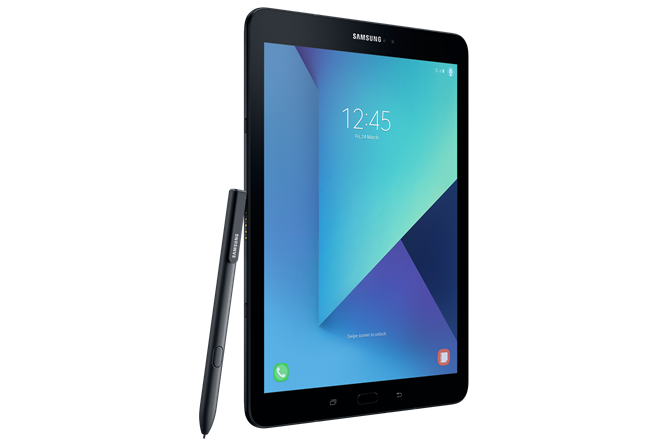 The Samsung Galaxy Tab S3 takes mobile entertainment to the next level providing a cinema-like experience with 4K video playback and a stunning Super AMOLED display. 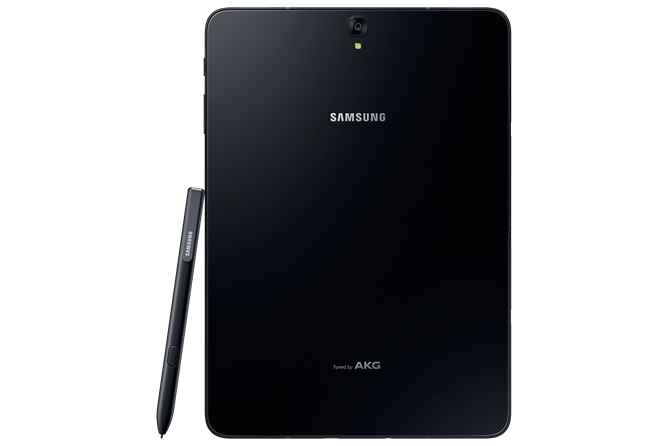 In addition, the Galaxy Tab S3 is the first Samsung tablet to feature quad-stereo speakers tuned by AKG by HARMAN for premium visual and listening experiences. With content partners like Amazon, enjoy instant access to HDR original videos. Available in 10.6-inch and 12-inch models, the Samsung Galaxy Book caters to productive on-the-go professionals who are looking for a powerful computing device that isn’t tied to the desktop. The Samsung Galaxy Book is lightweight and has a versatile form factor, easily transforming from a tablet to a notebook.